How Do You Mix Classical Dressage, Neuroscience and Fart Humor to Reach Kids on the Autism Spectrum? Rupert, with his rockstar hair and his Hollywood smile and upper caste British accent throughly delights with a boyish grin and self described “potty mouth.” He held rapt a group of eight certifiers (including me, the original skeptic) and an additional 20 auditors at the bizarre moonscape that is the Shalom Institute, tucked in the back of the Malibu Hills. He reminded us that we aren’t teaching anything to an autistic child, we are drawing him gently out of the shell that is autism into our world and hoping that, through the horse, he might give us a glimpse into his world as well. The Issacson’s family story was one I’d heard time and again; a bright and adventurous couple has a child, they know something is wrong early on but when the diagnosis of autism was handed to them when their beautiful son Rowan was four years old, the resulting anger and shame and frustration almost cost them their sanity and their marriage. They did all the right things with therapies and diets and they struggled through each day with tantrums, potty training nightmares and the knowledge that their son was becoming increasingly more remote and more miserable. I’ll not ruin the story of how Rowan connected his father back to the horses he loved and his mother a PhD Psychologist to her life’s work in teaching “Self Compassion.” Just treat yourself and either read the book or see the film. Even if you aren’t interested in autism studies or even in horses, the story has all the elements to delight and entertain. If you manage to be inspired and informed, well so much the better. Issaacson has since started the New Trails Center helping scores of children and their families find hope and peace and laughter together. Now for the honesty part of the post. I went to this seminar not just skeptical, but defensive. I didn’t appreciate the fact that I’d seen too many photos and films of children that Issacson has worked with riding without helmets. I’m an adamant helmet advocate for adults and I’m next to rabid about them for children. If you wear a seatbelt while driving, why wouldn’t you wear a helmet when riding? I don’t like wearing a helmet, but I do because I need to model the behaviors I need our kids and our volunteers to display. And I was prepared to piss off a room full of new age-ish do gooders to make my point that could and does save lives. I’m still a helmet advocate, that hasn’t changed. And yes, I do understand that a helmet can be a sensory nightmare for an autistic child. But where Rupert was going was so much more important than headgear. 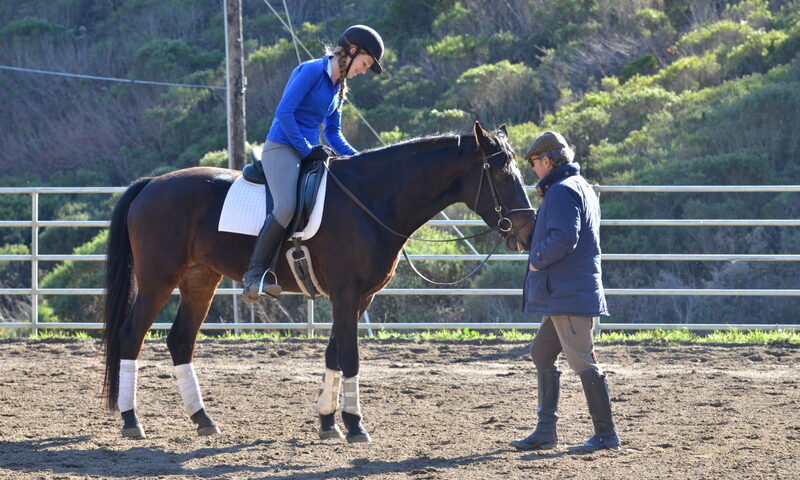 “Remember, you aren’t teaching ANYTHING, you aren’t teaching horsemanship, or riding. You aren’t a therapist and you aren’t going to ‘fix’ an autistic person. You are there to draw out communication and help a child with transitions. The horse will carry him out of his world into the natural and social world. That’s it.” We spent the next 18 hours over two days going over exercises, demonstrations and discussions about how to fold in academics, physicality and compassion into our interactions with autistic children and their families. Finally!!!! Validation from someone, with enough skin in the game – he’s the father of an autistic child and he’s married to a PhD Psychology professor – isn’t talking about cures, he isn’t some theory-laden pedagague that reduces a child to his diagnosis. And get this – he does it with fun and silliness and irreverence and adds to that some damn fine classical horsemanship. I can’t wait to get home and share with my staff and key volunteers and my horses what I’ve learned and re-learned this past weekend. 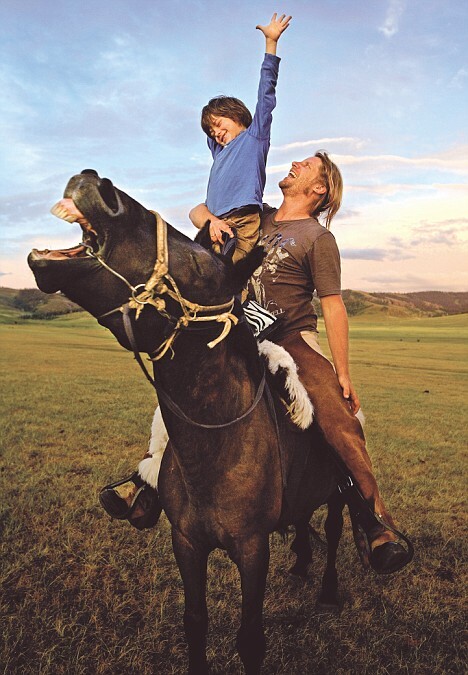 I’m even more convinced that we can love and laugh our way to connect these children to their families and their communities on the backs of our beloved horses. UPDATE: Square Peg is teaming up with Rupert Isaacson and the Horse Boy Method to present a equine related demonstration at the Abilities Expo at the San Jose McEnrey Convention Center November 18th, 19th and 20th. Admission is free – c’mon out! You nailed it! You are an amazing writer and really captured our experience. A perfect review! I am checking my calendar now and hope to join you at the Abilities Expo. This was everything I had anticipated it would be. It really connected me with my love of horses and my desire to make a difference in the world. My inner child was delighted with the farting and the potty mouth! Happy to do it again and can't wait to get to work/play! Joell, I agree whole heartedly with your post. I too am a helmet advocate but see that through bending rules sometimes the greater good is achieved. I loved the way Rupert and Illiana were training and preparing the horses for the work and how they went about picking the right horses for the job at hand. I also noted that the awareness and sensitivity of the team working around the horse and the child is part of what creates and maintains the special environment of support and safety for the horse and rider. It is truly a team effort.